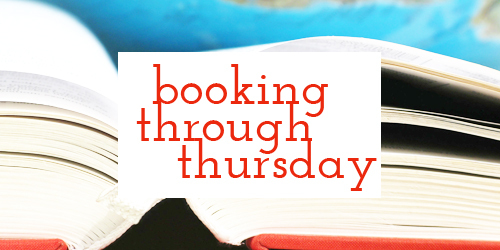 Booking through Thursday: If you could get a sequel for any book, what would it be? I love this question because – usually – I complain bitterly about the quantity of sequels out there. My fellow YA and UF fans know exactly what I mean when I say that most books never die. They recycle the same material over and over and over again until you’ve forgotten why you ever liked the book in the first place. But there are some fabulous books out there that I would totally read the sequel to… if only they existed. Most recently, Academy 7 by Anne Osterlund. I just finished it a few weeks ago and was heartbroken to hear it had no sequel. It’s a fantastic YA Science Fiction novel (read my review here). Hell, I could read a companion novel set in this verse, and I’d be in love. I’m with you on Darkest Powers – love those books!